Who’s not a mac and cheese fan, right? 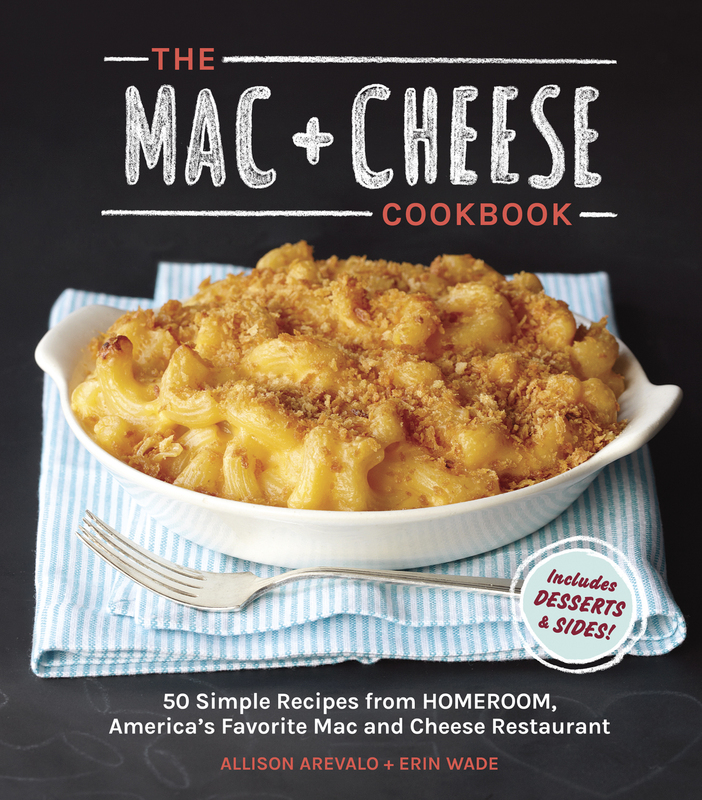 Well, I certainly am, and I got the gift of a mac and cheese cookbook for Christmas this year, so I’ve been on a kick. Not healthy, but wow is it delicious. (Gift or curse? I’ve been debating.) This cookbook is by the chefs at Homeroom restaurant in Oakland, California. Their specialty is mac and cheese (obviously). It has all kinds of variations on the original, and they are all amazing. This one features goat cheese, one of my favorites — it’s rich and creamy and tart, and the bread crumbs on top give it a nice crunch. 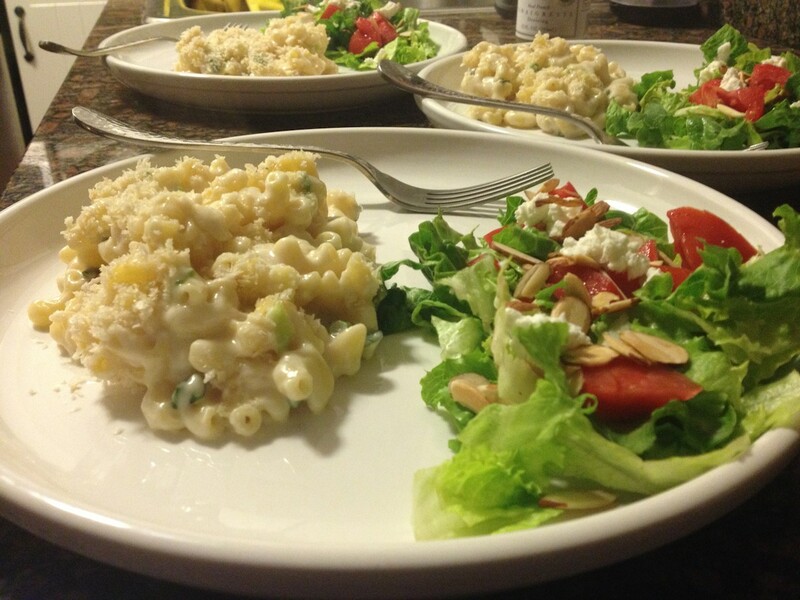 The key to this mac and cheese is the béchamel sauce that serves as the base. And the key to the sauce is constant whisking. Add the milk slowly, whisk until incorporated, and add more. This is the perfect meal for a cold night or when you just want some comfort food. It’s amazing! The mac sauce recipe makes three cups, and the mac and cheese recipe only calls for two cups, so remember not to add the whole bunch. I’ve done this several times! Don’t use anything besides whole milk. It won’t work. I use the trusty Le Creuset for this — makes for easy clean-up and really easy to transfer to the oven to crisp the breadcrumbs. Add the sauce (remember only two cups! 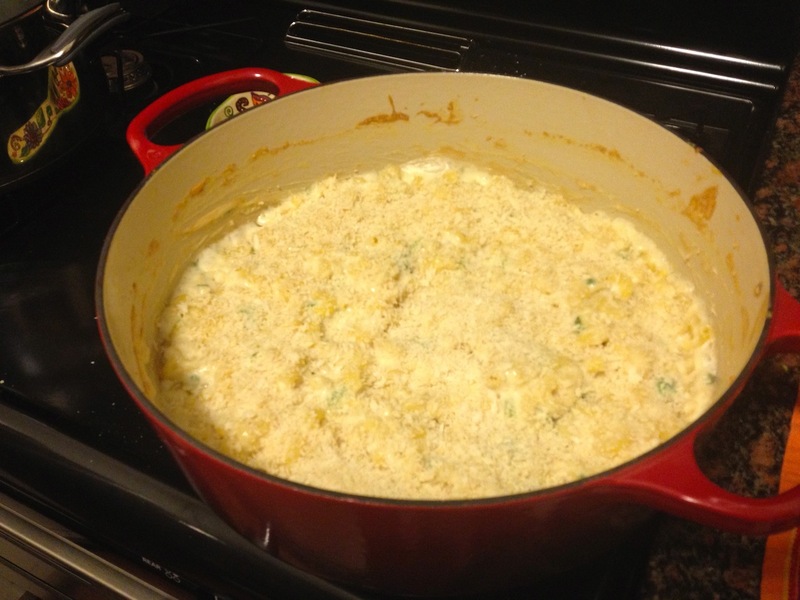 ), cheese and green onions to a large, heavy-bottomed pot and cook over low heat until the goat cheese is barely melted, about 3 minutes. Turn off the heat and stir in the cooked pasta. Pour the cheese noodle mixture into a large baking dish. Top evenly with panko and bake until you see the cheese sauce bubbling up the sides, 10 to 15 minutes. Spoon into bowls, drizzle with olive oil and serve immediately. 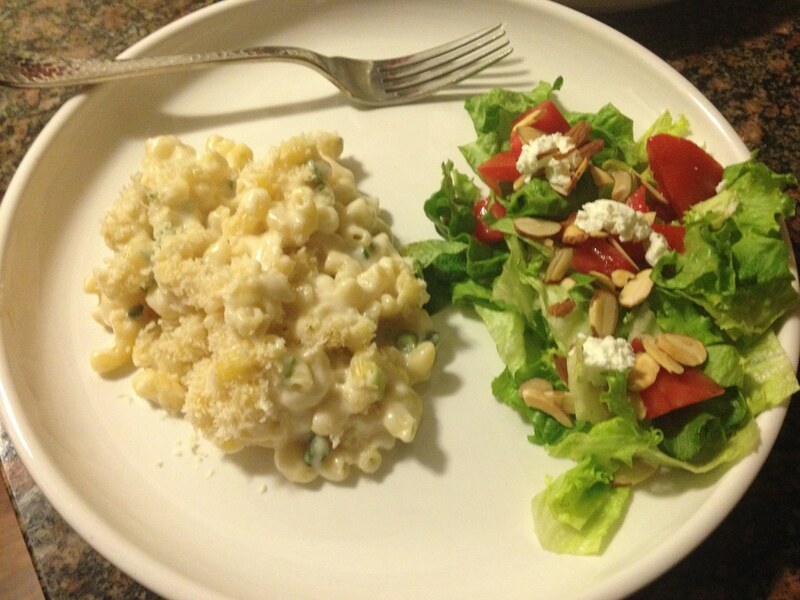 This entry was posted in Recipes and tagged comfort food, goat cheese, mac and cheese by Tricia. Bookmark the permalink.